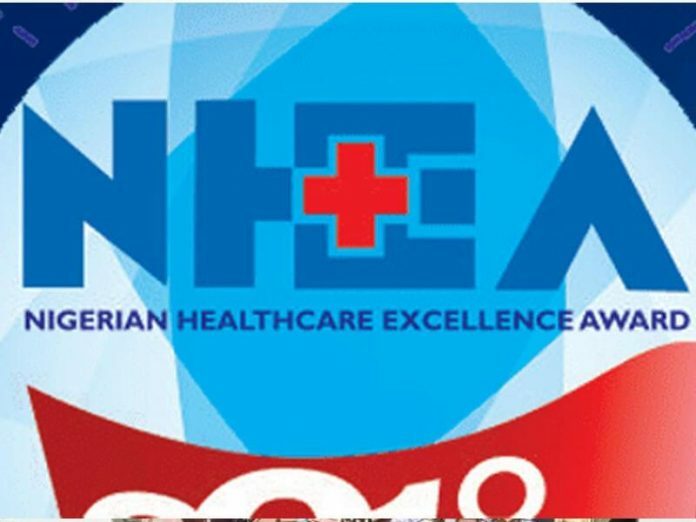 Lagos – Worried by Nigeria’s poor rating in global health index, the organisers of the Nigerian HealthCare Excellence Award (NHEA) weekend reassured its commitment to ensure that the prize would promote improvement in healthcare delivery and international standards in the country’s health system. Addressing a press conference on the award billed to hold Friday, 21 June 2018 in Lagos, Dr. Anthony Omolola, the Chairman Advisory Board of NHEA, regretted that the nation’s primary health care system have not been receiving required attention, hence the award would honour outstanding private and government organisations in that level of care. Omolola said the award was targeted at two areas including primary healthcare and Universal Health Coverage, UHC that are currently in front burner to in most countries of the world. Announcing that over 14,000 votes have been received online since voting began for nominees, Omolola said the award has spurred healthy competition among professionals, and facilities in the country in terms of providing the best of care and medical equipment. “If you have followed all the awards we have given to credible people, not just ordinary people or organisations. We have painstakingly chosen them, evidenced-based with a lot of collaborative partners working with us such as PharmaAccess etc. There have been tremendous improvements in terms of people who are voting. The processes are very keen and have been put into rigorous steps. Last year we had about 7,000 votes, but as at now, we have over 14,000 votes and evoting is still ongoing. For the awards, with all sense of responsibility, those who won the award have been put into another pedestrian because the award is of an international standard not Nigeria,” he stated. Dr. Wale Alabi, the Executive Director NHEA, while giving insight into the award, said there are 20 criteria for each of the award which are in four categories – Special Awards, Healthcare delivery services, Biomedical technology and Pharmacies. He said though the jury is a small group but effective and made up of credible Nigerians. Commenting, Bisi Bright, First Vice Chairman/ CEO LiveWell Initiative, noted that the NHEA was currently changing the narrative of healthcare in Nigeria as it has continued to help drive professionalism as well as promote healthy competition among professionals. On his part, a member of the jury, Prof Kolawole Oyedeji, Department of Medical Laboratory Sciences, College of Medicine, University of Lagos (CMUL) described NHEA as an advocacy agent to government. Prof Oyedeji noted that the NHEA criteria will bring about excellence in the healthcare and urged the government to propel the criteria in terms of setting standards for healthcare delivery. Similarly, Dr. Enoma Alade, Founding Partner & Director Research Development, Anadach Consulting who noted that Nigeria seems not to be moving in terms of healthcare, regretted that all over the world, health sector was one sector that moves very slowly. Gbenga Olubowale, the immediate past Chairman of Pharmaceutical Association of Nigeria (PSN) Lagos State, described NHEA as celebration of excellence, urging organisers not to relent in their efforts.